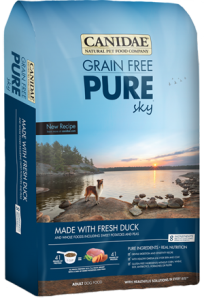 FREE-RUN POULTRY WITH FREE-RUN CHICKEN, TURKEY & NEST-LAID EGGS By nature, all dogs are evolved as carnivores, biologically adapted for a diet rich and varied in fresh meats with smaller amounts of fruits, vegetables and grasses. 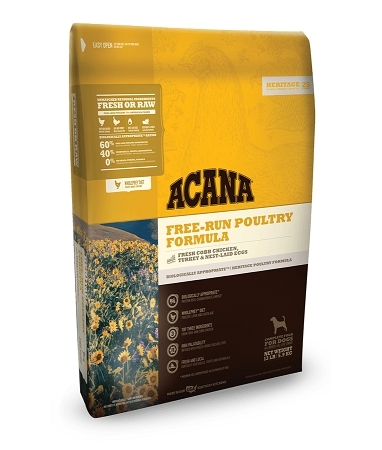 Thatês why we loaded ACANA Free-Run Poultry with free-run Cobb chicken, Tom turkey and whole nest-laid eggs _ delivered fresh from local Kentucky farms in WholePreyÈ ratios to nourish your dog completely. 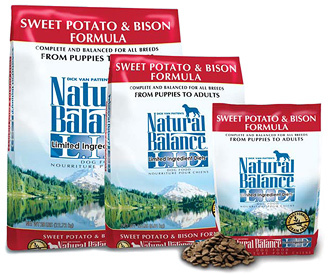 Prepared in our Kentucky DogStarÂ kitchens from Americaês best and freshest ingredients, this unique and Biologically AppropriateÈ ACANA food is a delicious way to keep your dog healthy, happy, and strong. 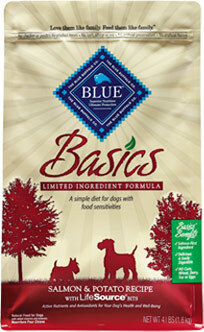 Read our ingredients and youêll be happy too!